Jill and her husband Tim are the loving, if not always patient, parents of three boys, Liam, Silas and Micah. 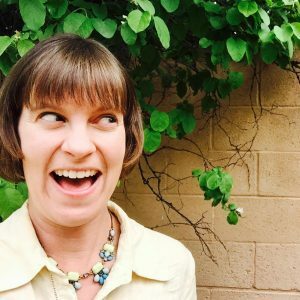 The family spends most of their time enjoying the natural beauty of Albuquerque and greater New Mexico, where Jill finds a lot of her professional inspiration as the owner of My Landscape Coach. Jill offers a variety of products and services for homeowners to help them unearth their yard’s potential. Jill has eye for plant life! JB: I’ve always been a Landscape Architect; however my career shifted after my children were born. After graduating with my Bachelors of Landscape Architecture from LSU in 1999. I moved to Albuquerque, NM to work as a landscape architect for a medium sized firm. I spent 11 years there building my career, gaining experience, and working long days/weeks. I was on maternity leave with my second son and I knew I needed a shift in my work life so I decided to take a part time job focusing exclusively on sustainable design. That job provided me with much needed clarity. 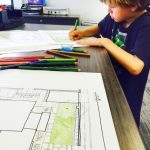 After my third son was born I decided to start my own landscape architecture business. JB: My current job is running a local landscape architectural business called My Landscape Coach. My Landscape Coach is an online resource for southwestern homeowners. Homeowners here are frustrated with their yards. They waste time and money on books that leave them confused, plants that die, and maintenance that’s not done right. My Landscape Coach (MLC) uses multiple means of communication to teach, educate, inspire, and motivate homeowners to create great outdoor spaces. In turn homeowners build confidence, gain respect for the outdoors, and improve their health and wellness. MLC also provides at home landscape consultation and design. 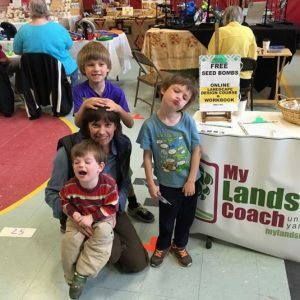 Mylandscapecoach.com is where it all happens. JB: It has taken me 5 years to build up this business to be a recognizable brand in the Albuquerque area, a trusted educator and a local community resource. JB: My biggest challenges is managing the clients plus providing the online community with the appropriate resources. Our business has busy seasons and slow seasons so I try to flow with those seasons instead of being engulfed by them. JB: The biggest advantage is the flexible time I have to spend with my three sons. I’m able to be here when they leave and return from school. I turn off my computer when they walk in the door at 4pm every afternoon. My goal is to focus on their needs which might include homework or snacks but more often it’s bandaging up wounds after they’ve fallen off a bike jump in the front yard. The four of us just took a three day trip during their Fall break to visit some local National Parks. JB: The next goals for my business is to reach a larger audience so I can teach more homeowners landscape conservation and sustainable design. This will allow for a steadier income throughout the year with less riding the wave between the seasons of landscape design. JB: It takes a heck of a lot of grit and consistency to keep a business running. I’ve spent more time learning how to build a website and market my business these last 5 years than I knew was even possible. There will be wins and losses, the key is to use the wins to propel you forward. Finding a community of other business owners is key, while you may not run similar businesses you will be able to share in the ups and downs of just running a business. The resources and support of other business owners is unparalleled. It’s also important to have the entire family on board when it comes to working from home. I have found that I need every child out of the house for me to truly get quality work done so I’ve adjusted my youngest pre-school schedule to give me those large blocks of work time. By being honest about this with my family it allows me to be true to my work and present with my kids when they are home. JB: Creating systems for repetitive business tasks. I write down the steps for tasks I do regularly so I don’t have to remember those tasks. I also utilize the latest online tools for organization and management. I currently use OneNote to keep all my ideas, thoughts, blog posts, client files in an easy to access database. I use Trello to help me manage each client. I typically have 20 clients at one time so these tools help me keep track of each one so each client feels like they are my only one. As for keeping things running smoothly at home, I’ve simplified our meals so I no longer have to think about what we have on each day. We have the same thing every week, it was inspired by my roots of growing up in the Catholic culture of New Orleans. Mondays-beans, Tuesday-tacos, Wed-pasta, Thursday-stir fry, Friday-meatless. Amylee here, highlighting a few great points Jill made. First, how much do I love that Jill took away the mental energy involved in meal planning? Her strategy is the very first one I mention when I work with someone on taking control of meal planning! Second, I admire that Jill realized that she needs her kids GONE to get work done. 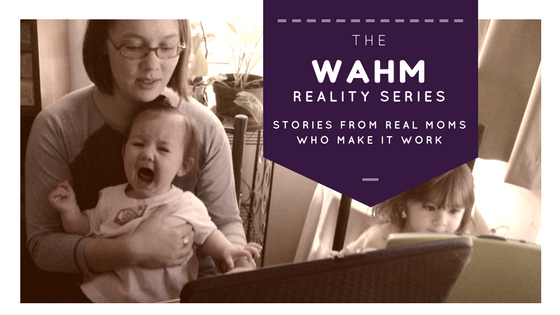 I personally think most moms need kid-free moments for certain tasks. I used to save those up (when possible) for when I knew I had some reliable childcare OR a brand new movie on hand. OK, back to Jill……..
To learn more about Landscape Coach visit http://mylandscapecoach.com/ and sign up for weekly landscaping tips. Jill’s products include Landscape Design Made Easy, an online Landscape Design course with videos, worksheets, tutorials, and checklists to help you design your yard step by step. Landscape Maintenance Guide is a Landscape Maintenance Guide designed for New Mexico that tells you exactly what to do in your yard each month, simplifying he stress we sometimes feel about plant care. New Mexico Plants Made Easy: A simple plant book for people like you and me highlights 60 of my favorite plants for Albuquerque and New Mexico. Each page includes a plant photo, and a basic description about the plants’ soil and water preferences.